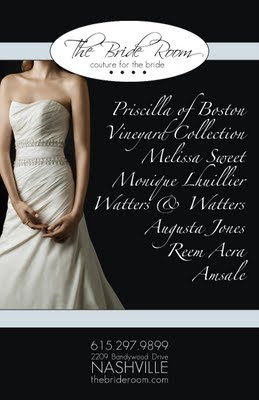 You are invited to kick off your holiday shopping a little early with the Super Sample Sale at The Bride Room! This Sunday, November 22nd, at 11am sharp our doors will open for the very first Super Sample Sale! Please read over some of our thoughts and let us know if you have any questions! The event is truly first come, first served. There will be no appointments and the doors will not open before 11. We will have a numbering system for allowing you in the store in the order in which you line up. We will not be holding dresses at all, for any length of time, on Sunday. We will also be offering special discounts on gowns that are ordered (if the sample is not eligible to be sold off the floor; if you prefer to order than purchase the sample, etc). Our friends at Oakwood Cleaners have extended a generous rate for cleaning the sample gowns and also for alterations through their expert seamstress. Their offers alone make a trip to The Bride Room this weekend worth it! Most of our samples are sizes 8 and 10. Please know that those sizes will vary from designer to designer. Sample sales are paid in full at the time of purchase. We accept cash, check, and all major credit cards except American Express.